HomeUncategorizedThe Nokia-Microsoft partnership: A new dawn or a damp squib? The Nokia-Microsoft partnership: A new dawn or a damp squib? 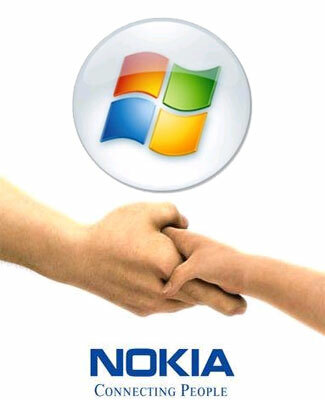 On February 11, 2011, Nokia announced a ‘broad Strategic partnership’ with Microsoft. Also, recently Nokia announced two new handsets, N9 and N950 on the MeeGo platform. Nokia is basically phasing out its Symbian OS and even the MeeGo platform won’t be extensively used as its focus is ‘longer term market exploration.’ Infact, Alberto Torres who has led the development of MeeGo, is leaving Nokia. So what does all this mean for Nokia, a company which still has 30% market share in the global handset market and still has over 50% share in India. To realize why Nokia , as their chief executive Stephen Elop recently put it, is “standing on a burning platform”, one only needs to go back 5 years. In 2006, Nokia was the undisputed market leader across all segments, no one had any idea what an iphone was and almost all major companies used the Symbian platform. Every second person seemed to own a Nokia 6600 or a Nokia 7610. Nokia N series was a huge success , with models like N91, N93 and N73 being major hits. Then in 2007, iphone came in and shortly afterwards the Open Handset Alliance announced the development of Android smartphones. In hindsight, the iphone launch was probably the time the slide started. Though the iphone has never really been a leader in Market share what it did was that it introduced a revolution on two fronts – touch phones and application development for mobile sets. Before iPhone, a handset was basically a telephone on which one could take a picture or play a game. After the iPhone, it was like a minicomputer. RIM’s blackberry range took over the business phone market around this time too. Suddenly, Nokia had real competiton for the first time in a decade. It did try to compete, introducing a whole range of touch phones starting with the Nokia 5800. It launched its own app store and Nokia 5800 was a reasonable success. However, the N-series was losing its charm. Then in early 2010, Android phones started to flood the market. Symbian was also losing out. Motorola, LG and Sony Ericsson withdrew from the Symbian platform in 2009. Samsung withdrew in 2010. Though Nokia did launch a new handset based on Symbian 3, N8 in early 2011, Symbian’s time was up. In this situation, the Nokia-Microsoft assumes major significance. Elop recently said the partnership meant the mobile market was now a “three horse race”, with Nokia-Microsoft competing strongly with Apple, and Google’s Android platform. RIM is slowly but surely losing out, struggling to provide the same features as the Android based smartphones. Nokia still has the largest market share over all mobile handset categories and Microsoft has been itching to get into the lucrative mobile market. It is the third front in its battle with Google, the others being cloud and OS. Even Apple seems to be aiming at getting a bigger share, and is planning to launch a range of lower price handsets soon. Only time will tell if this alliance will be successful. The first range of Windows based Nokia devices will come out in October this year and Google also comes out with Android 4.0(Ice Cream Sandwich) around the same time. So the next few months promise exciting times for the mobile handset market. Who knows, we might have another revolution on our hands over the next 5 years.